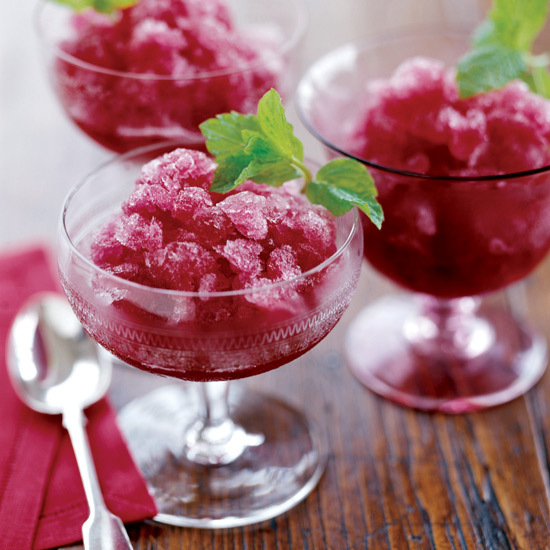 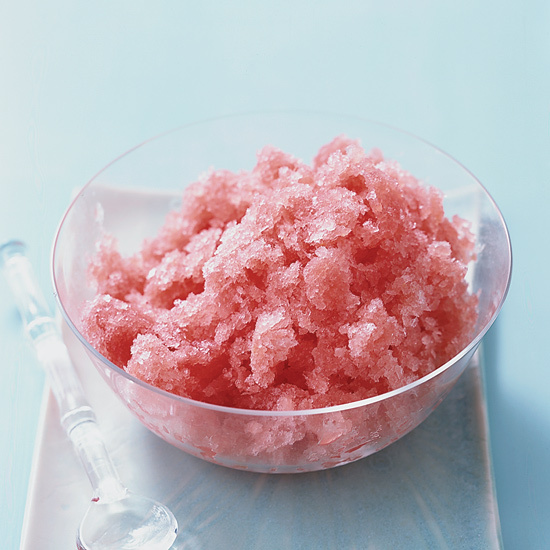 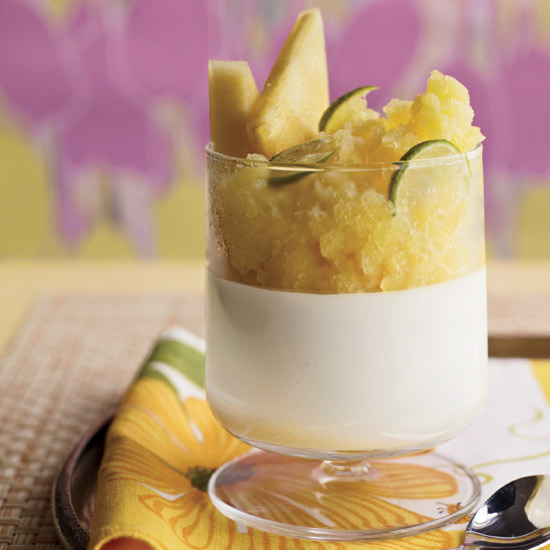 These refreshing recipes include watermelon granita and an inventive apple pie granita. 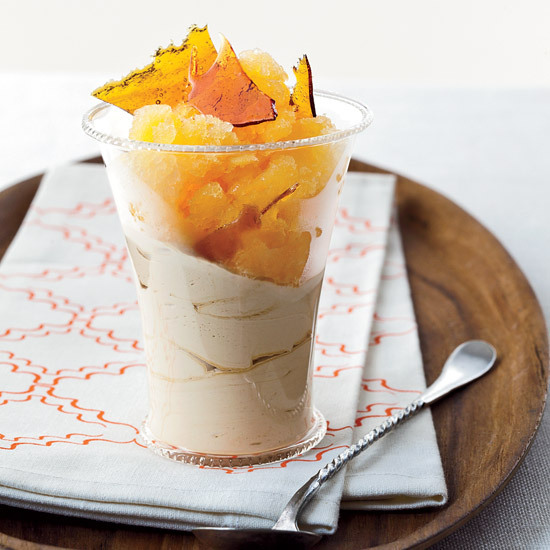 Maura Kilpatrick’s killer parfaits are the perfect contrast of cold, crunchy and creamy. 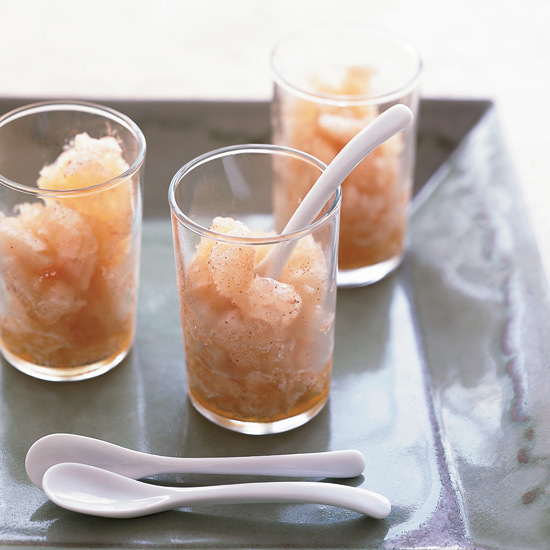 They’re fabulous for entertaining, because you can make the caramel cream, granita and caramel ahead of time and assemble them just before serving. 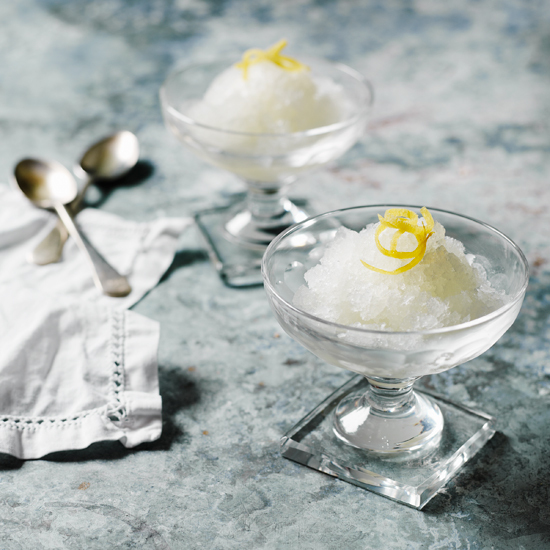 The crunch can also be served over vanilla ice cream. 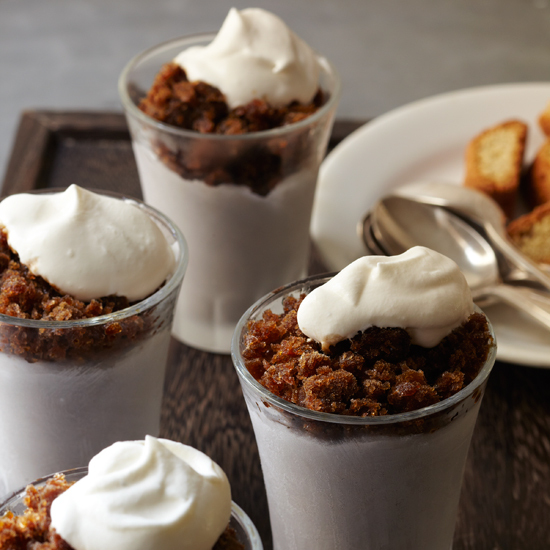 Top the granita with a hefty portion of whipped cream; you’ll need the mild sweetness of the cream to balance the strong espresso. 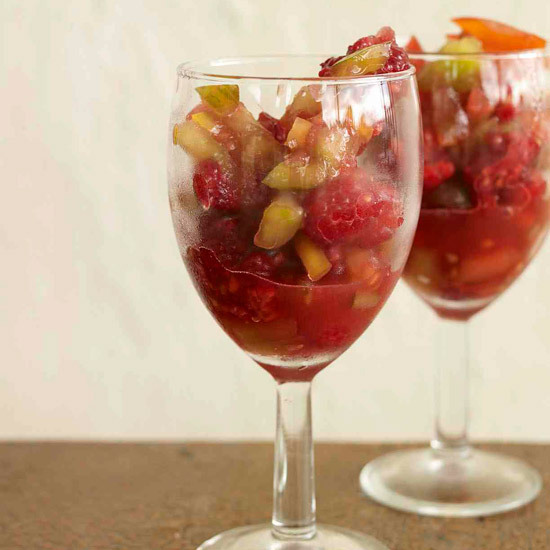 If you’re cutting down on caffeine, you can use decaffeinated espresso beans instead of regular. 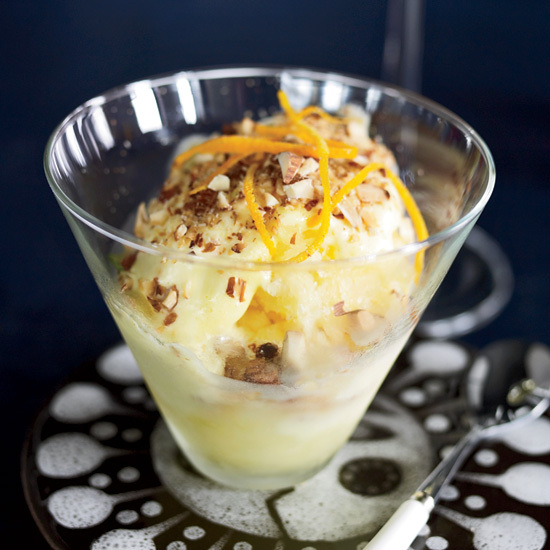 “I love a hot fudge sundae, but this is more refreshing,” says Jimmy Bradley about this light, citrusy mousse layered with orange granita and chopped almonds.